→ Avengers (1°) #3 (01/64) The Avengers Meet ... Sub-Mariner! 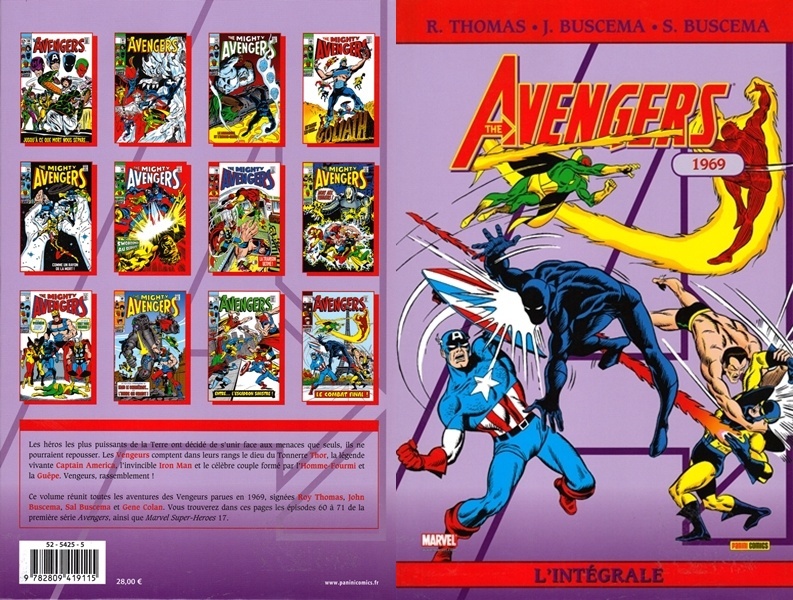 → Avengers (1°) #4 (03/64) Captain America Joins ... The Avengers! → Avengers (1°) #5 (05/64) The Invation Of The Lava Men! → Avengers (1°) #6 (07/64) The Mighty Avengers Meet The Masters Of Evil! → Avengers (1°) #7 (08/64) Their Darkest Hour! → Avengers (1°) #8 (09/64) Kang, The Conqueror! → Avengers (1°) #9 (10/64) The Coming Of The ... Wonder Man! → Avengers (1°) #10 (11/64) The Avengers Break Up! → Avengers (1°) #19 (08/65) The Coming Of... The Swordsman! → Avengers (1°) #25 (02/66) Enter... Dr. Doom! → Avengers (1°) #26 (03/66) The Voice Of The Wasp! 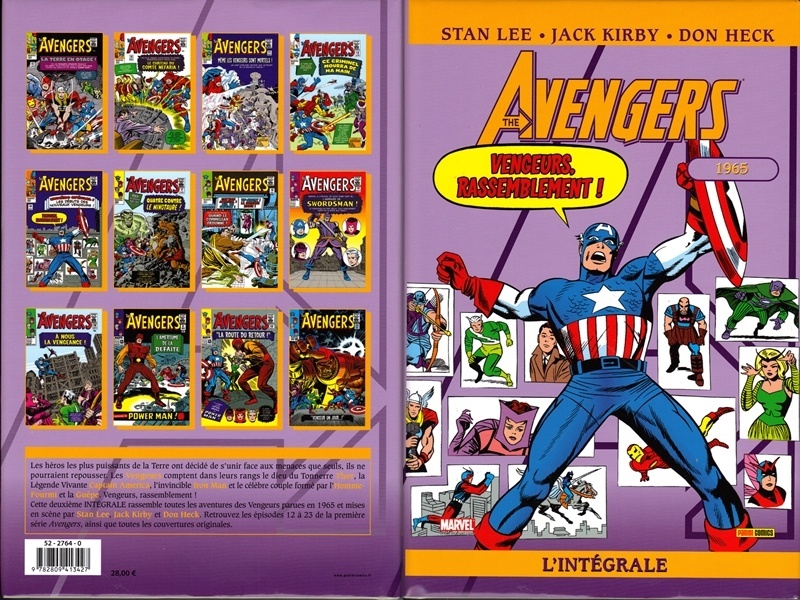 → Avengers (1°) #27 (04/66) Four Against The Floodtide! → Avengers (1°) #28 (05/66) Among Us Walks... A Goliath! → Avengers (1°) #29 (06/66) This Power Unleashed! → Avengers (1°) #30 (07/66) Frenzy In A Far-Off Land! → Avengers (1°) #31 (08/66) Never Bug A Giant! → Avengers (1°) #32 (09/66) The Sign Of The Serpent! → Avengers (1°) #34 (11/66) The Living Laser! → Avengers (1°) #35 (12/66) The Light That Failed! → Avengers (1°) #36 (01/67) The Ultroids Attack! 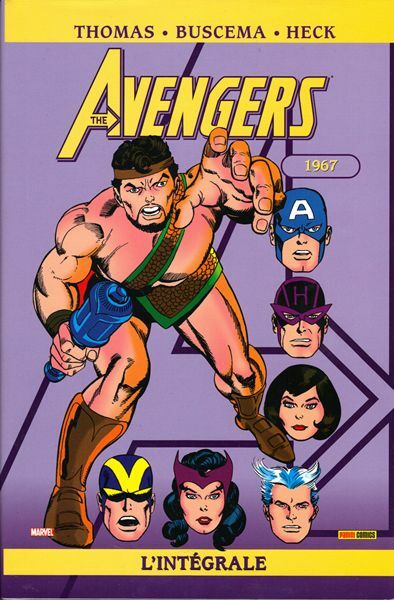 → Avengers (1°) #37 (02/67) To Conquer A Colossus! → Avengers (1°) #38 (03/67) In Our Midst... An Immortal! → Avengers (1°) #39 (04/67) The Torment... And The Triumph! → Avengers (1°) #40 (05/67) Suddenly... The Sub-Mariner! → Avengers (1°) #41 (06/67) Let Sleeping Dragons Lie! → Avengers (1°) #42 (07/67) The Plan... And The Power! → Avengers (1°) #43 (08/67) Color Him... The Red Guardian! → Avengers (1°) #44 (09/67) The Valiant Also Die! → Avengers (1°) #45 (10/67) Blitzkrieg In Central Park! → Avengers (1°) #46 (11/67) The Agony And The Anthill! → Avengers (1°) #47 (12/67) Magneto Walks The Earth! → Avengers (1°) #48 (01/68) The Black Knight Lives Again! → Avengers (1°) #49 (02/68) Mine Is The Power! → Avengers (1°) #50 (03/68) To Tame A Titan! 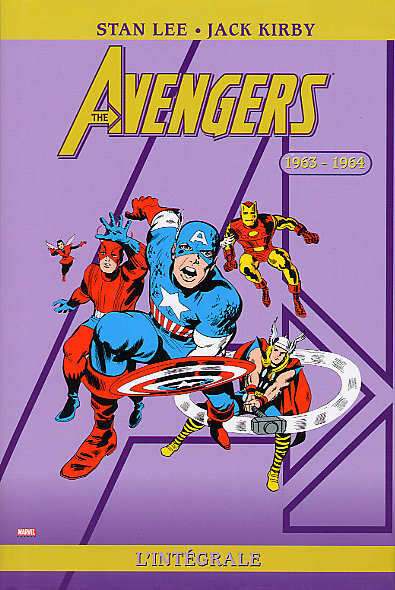 → Avengers (1°) #51 (04/68) In The Clutches Of The Collector! → Avengers (1°) #52 (05/68) Death Calls For The Arch-Heroes! → Avengers (1°) #53 (06/68) In Battle Joined! → Avengers (1°) #54 (07/68) ...And Deliver Us From... the Masters of Evil! → Avengers (1°) #55 (08/68) Mayhem Over Manhattan! → Avengers (1°) #56 (09/68) Death Be Not Proud! → Avengers (1°) #59 (12/68) The Name Is... Yellowjacket! → Avengers (1°) #60 (01/69) ...Till Death Do Us Part! → Avengers (1°) #61 (02/69) Some Say The World Will End In Fire... ...Some Say In Ice! → Avengers (1°) #62 (03/69) The Monarch And The Man-Ape! → Avengers (1°) #63 (04/69) And In The Corner... Goliath! → Avengers (1°) #64 (05/69) Like A Death Ray From The Sky! → Avengers (1°) #65 (06/69) Mightier Than The Sword? → Avengers (1°) #66 (07/69) Betrayal! → Avengers (1°) #67 (08/69) We Stand At... Armageddon! → Avengers (1°) #68 (09/69) ...And We Battle For the Earth! → Avengers (1°) #70 (11/69) When Strikes The Squadron Sinister! 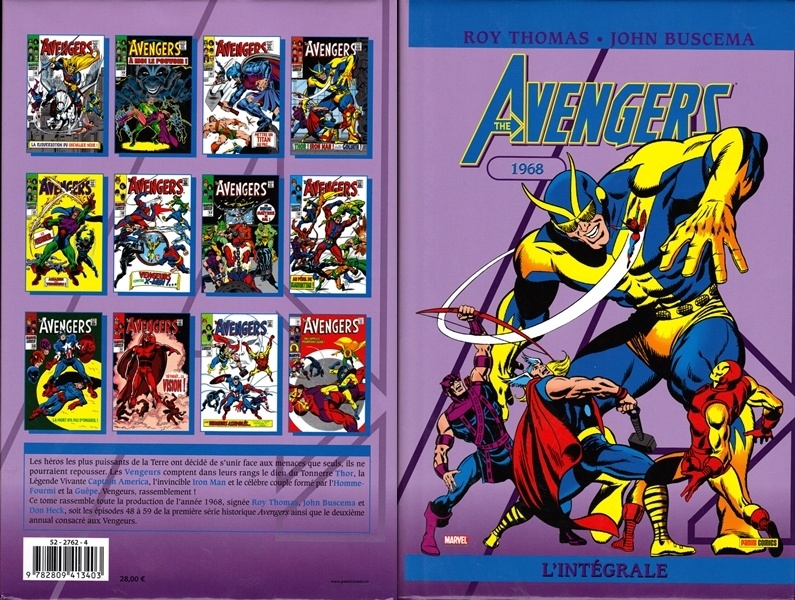 → Avengers (1°) #71 (12/69) Endgame! → Marvel Super Heroes (1°) #17 (1) (11/68) Black Knight - The Black Knight Reborn! → Avengers (1°) #72 (01/70) Did You Hear The One About Scorpio? → Avengers (1°) #74 (03/70) Pursue The Panther! → Avengers (1°) #75 (04/70) The Warlord And The Witch! → Avengers (1°) #76 (05/70) The Blaze Of Battle... The Flames Of Love! → Avengers (1°) #77 (06/70) Heroes For Hire! → Avengers (1°) #78 (07/70) The Man-Ape Always Strikes Twice! 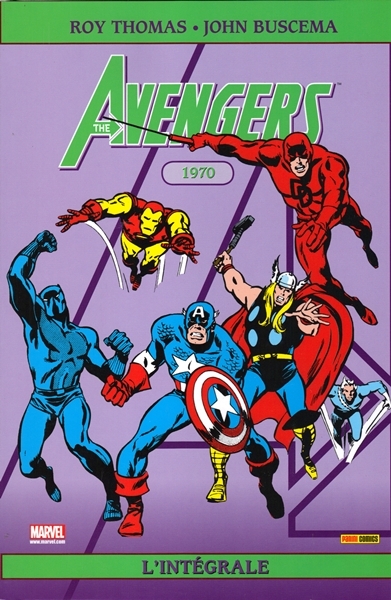 → Avengers (1°) #79 (08/70) Lo! The Lethal Legion! → Avengers (1°) #80 (09/70) The Coming Of Red Wolf! → Avengers (1°) #81 (10/70) When Dies A Legend! → Avengers (1°) #82 (11/70) Hostage! → Avengers (1°) #83 (12/70) Come On In... The Revolution's Fine! → Avengers (1°) #84 (01/71) The Sword And The Sorceress! → Avengers (1°) #85 (02/71) The World Is Not For Burning! → Avengers (1°) #86 (03/71) Brain-Child To The Dark Tower Came...! → Avengers (1°) #87 (04/71) Look Homeward, Avenger! → Avengers (1°) #91 (08/71) Take One Giant Step... Backward! → Avengers (1°) #92 (09/71) All Things Must End! 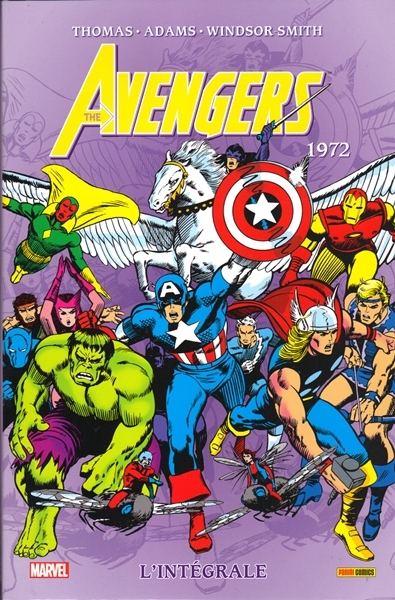 → Avengers (1°) #94 (12/71) More Than Inhuman! → Incredible Hulk (2°) #140 (06/71) The Brute... ...That Shouted Love... ...At The Heart Of The Atom! → Avengers (1°) #95 (01/72) Something Inhuman This Way Comes...! → Avengers (1°) #96 (02/72) The Andromeda Swarm! → Avengers (1°) #97 (03/72) Godhood's End! → Avengers (1°) #98 (04/72) Let Slip The Dogs Of War! → Avengers (1°) #99 (05/72) ...They First Make Mad! → Avengers (1°) #100 (06/72) Whatever Gods There Be! → Avengers (1°) #101 (07/72) Five Dooms To Save Tomorrow! 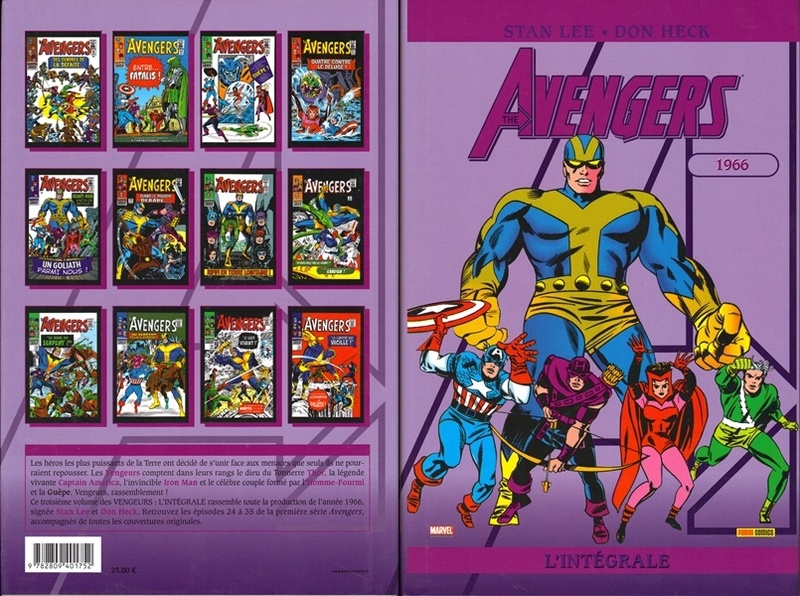 → Avengers (1°) #102 (08/72) What To Do Till The Sentinels Come! → Avengers (1°) #103 (09/72) The Sentinels Are Alive And Well! → Avengers (1°) #104 (10/72) With A Bang... And A Whimper! 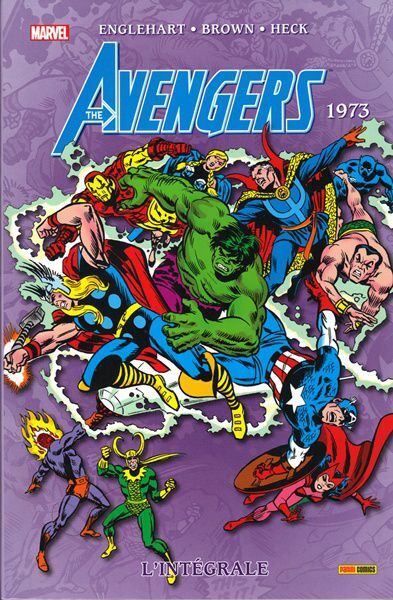 → Avengers (1°) #105 (11/72) In The Beginning Was... The World Within! → Avengers (1°) #106 (12/72) A Traitor Stalks Among Us! → Avengers (1°) #107 (01/73) The Master Plan Of The Space Phantom! → Avengers (1°) #108 (02/73) Check... And Mate! → Avengers (1°) #109 (03/73) The Measure Of A Man! → Avengers (1°) #110 (04/73) ...And Now Magneto! 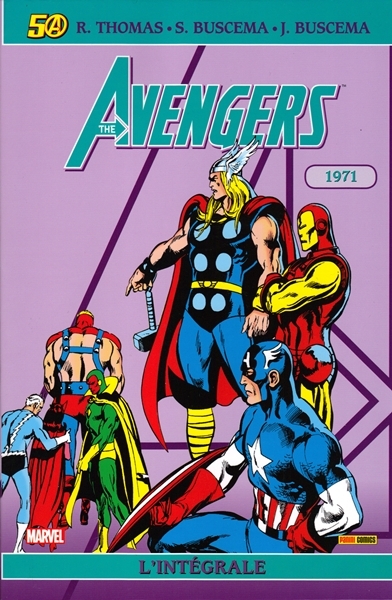 → Avengers (1°) #111 (05/73) With Two Beside Them! → Avengers (1°) #112 (06/73) The Lion God Lives! → Avengers (1°) #113 (07/73) Your Young Men Shall Slay Visions! → Avengers (1°) #115 (09/73) Below Us The Battle! / Prologue : Alliance Most Foul! → Daredevil (1°) #99 (05/73) The Mark Of Hawkeye! → Avengers (1°) #124 (06/74) Beware The Star-Stalker! → Avengers (1°) #126 (08/74) All The Sounds And Sights Of Death! → Avengers (1°) #127 (09/74) Bride And Doom! → Avengers (1°) #128 (10/74) Bewitched, Bothered And Dead! → Avengers (1°) #129 (11/74) Bid Tomorrow Goodbye! → Avengers (1°) #130 (12/74) The Reality Problem! → Avengers (1°) Giant-Size #2 (1) (11/74) A Blast From The Past! → Captain Marvel (1°) #33 (07/74) The God Himself!